THIS is the best snack in all of Walt Disney World, in my humble opinion. We had these for breakfast while at Animal Kingdom and even though I was initially worried they were unsuitable as a breakfast item (even though the other options were cinnamon buns and chocolate muffins…) I was soon proved wrong. 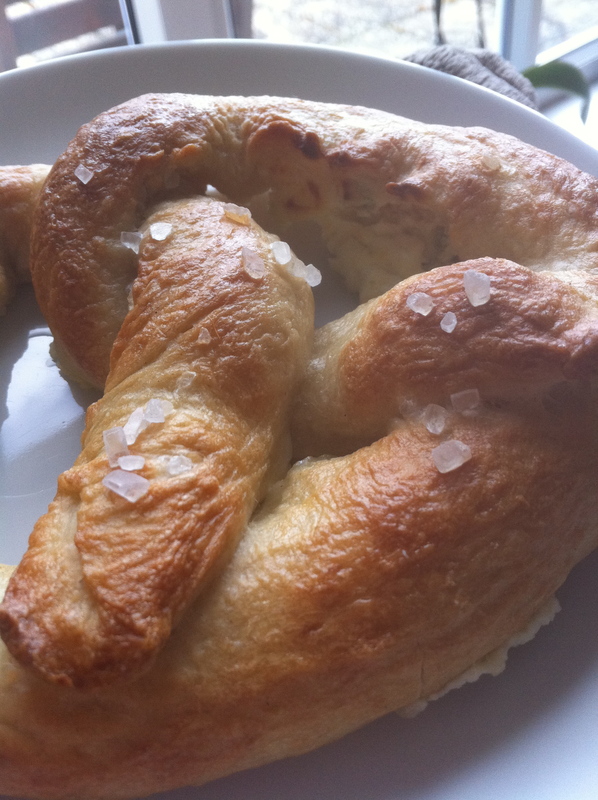 This is a jalapeno pepper and cream cheese STUFFED soft pretzel. And yes, they are as good as they look! Ever since we had these delicious heaven-sent pretzels, I know Ben hasn’t been able to stop thinking about them. So, I decided to be a really good girlfriend and recreate them for him as the only pretzels we get over here are of the party food ‘snack selection’ variety. Not quite the same. 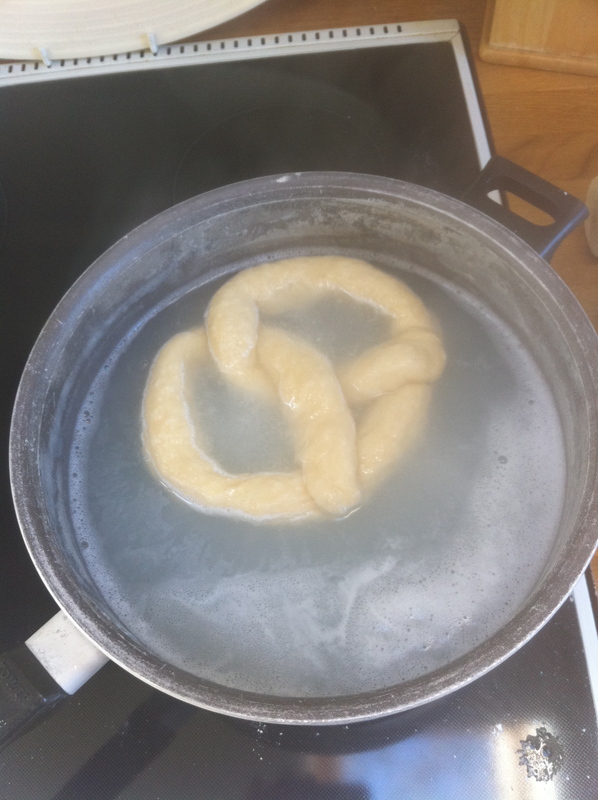 I started with a simple sounding pretzel recipe – Alton Browns. I was going to go for one that avoided the boiling-in-water step as it sounded way too difficult but in the end I decided to just man up and go for it. I started by adding all my wet and dry ingredients into the bowl and stirring them together. We were house-sitting and they didn’t have a Kitchenaid so it was unfortunately all done by hand. Quite the work out! 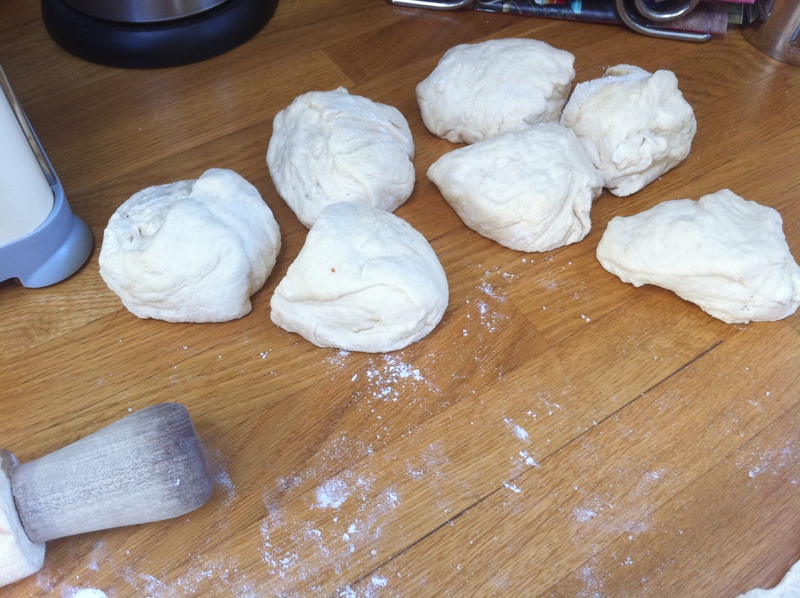 Once the dough was formed I kneaded it for about 5 minutes before putting it into an oiled bowl, covering with clingfilm and leaving it to rise for about an hour. Once it had doubled in size I removed it from the bowl and cut it into 8 equal pieces. This recipe makes 8 large pretzels but you could make lots of mini pretzel bites which would be perfect for parties and a possibly a little bit simpler – I imagine it would be easier to get the filling inside. From this point on I was pretty much on my own, couldn’t find any recipes that were exactly like the Disney pretzels so I was very much making it up. Eek! 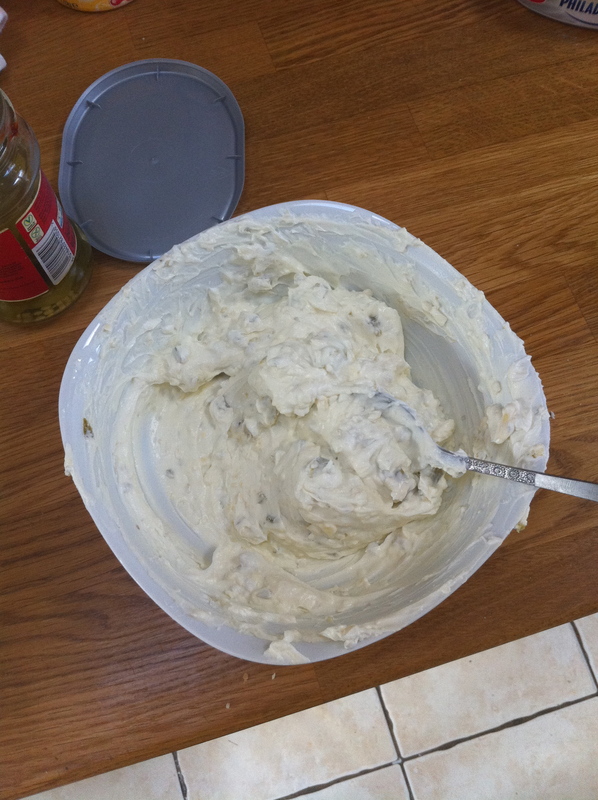 In a bowl, I mixed together a tub of Philadelphia cream cheese and a handful of jarred green jalapeno peppers. I finely chopped the peppers (removed the seeds first! I’m a wuss!) and then chopped them even smaller so that it was nearly a paste. 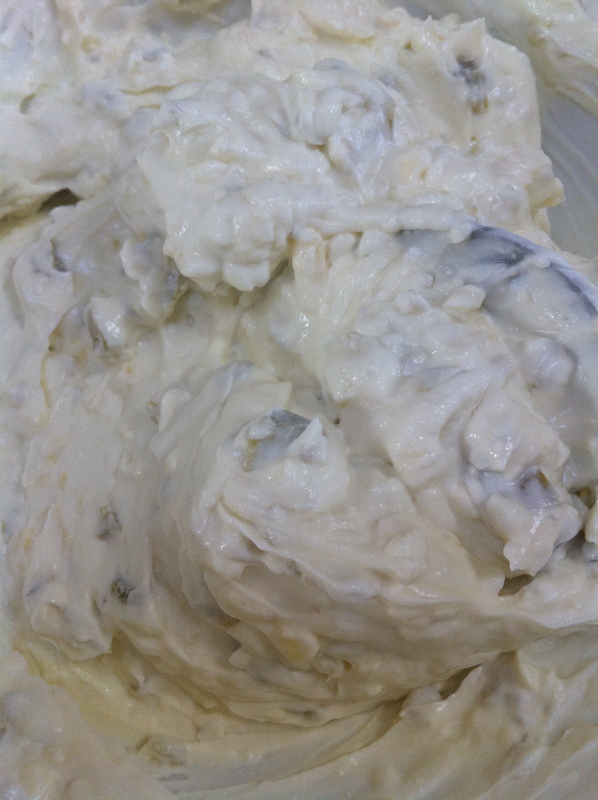 I also added in some of the brine from the jar to moisten the mixture until it was pliable. Finally, I grated some cheddar cheese to really maximise the cheesiness. Then it was time to get my roll on. 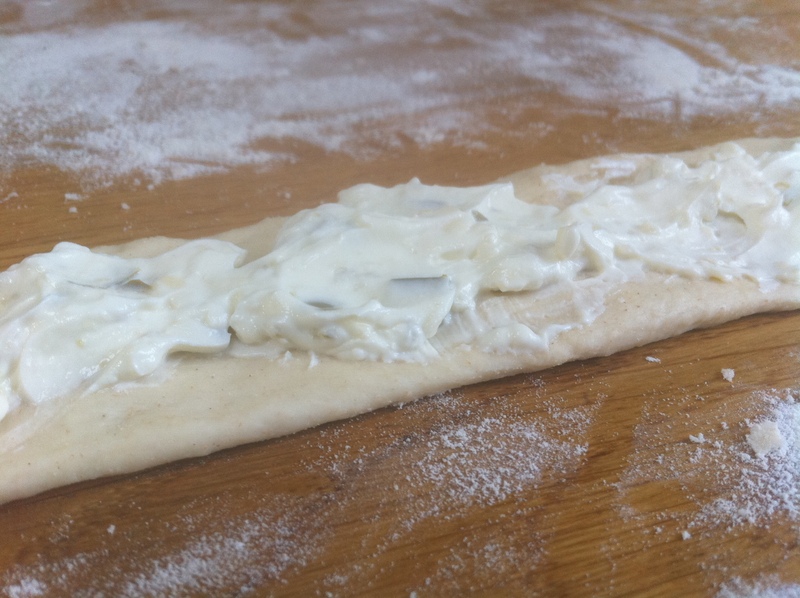 I rolled each ball out into a long strip and then rolled sideways until the dough was wide enough to hold a good portion of the cream cheese filling in the middle. 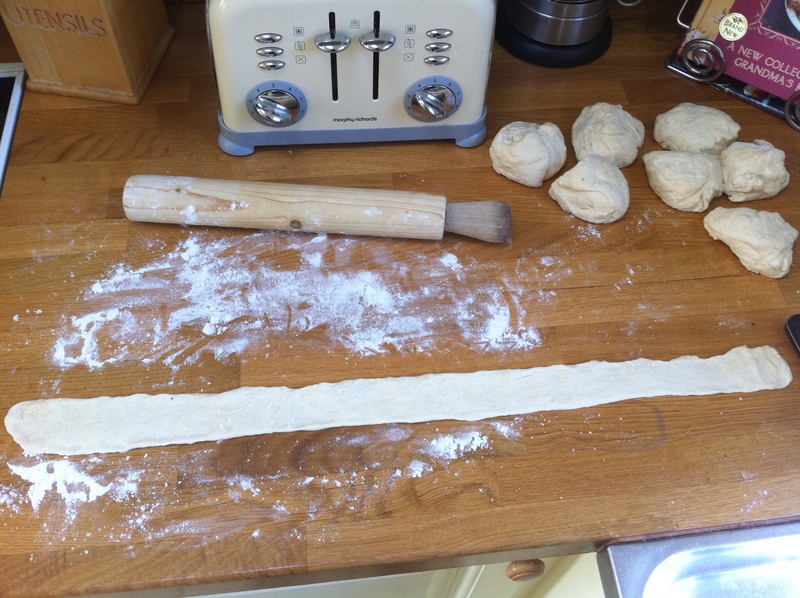 I spooned the mixture all along the length of the dough. Not going to lie, it was fiddly…but I knew the end result would be rewarding! As you can see, it got a little messy toward the end as I was getting impatient and just wanted to get to the exciting part of plunging them into boiling water. 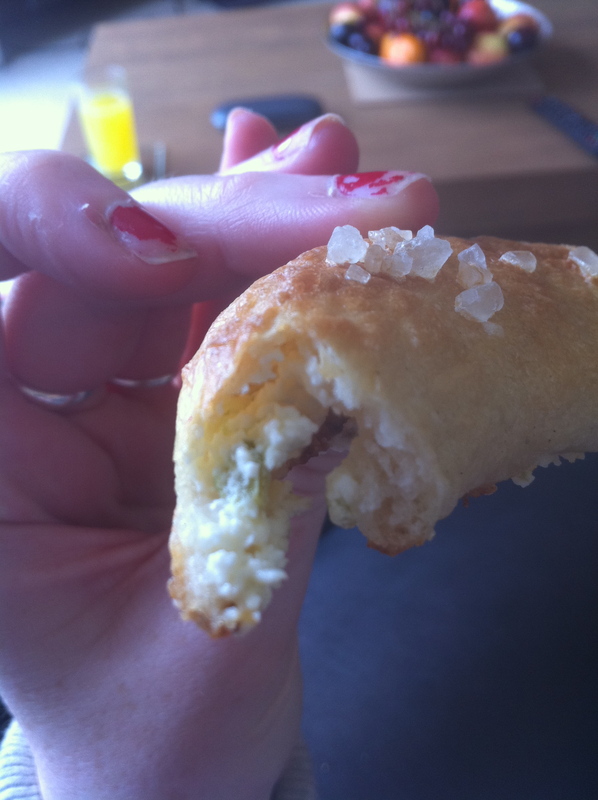 It didn’t matter though as I found it easy to pinch the edges together even if the cream cheese was spilling out a little bit – if anything it helped it stick better! 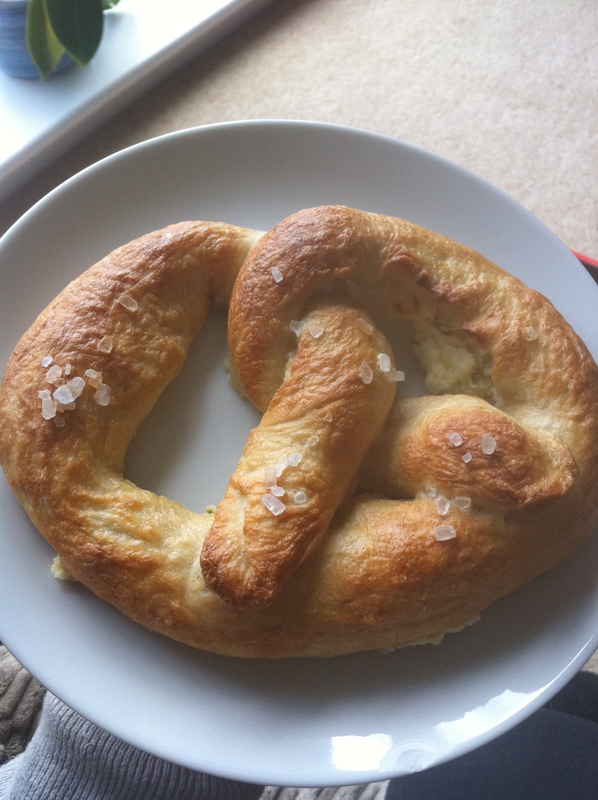 I then Youtube’d a selection of videos of people making pretzel knots until I felt confident enough to try it myself. It was so easy! Knotted up a treat! I knew my childhood years spent in the Brownies would come in useful. I was so nervous about putting them in the water because I was convinced they’d collapse or unravel and let all the mixture ooze out. However, after just a few seconds in the scalding depths of the pan, my brave tester pretzel rose defiantly back up to the surface. Score! Once the pretzels were laying pretty on the tray I sprinkled them with big chunks of rock salt, placed them in the oven and waited 20 minutes for the darlings to be done. Attempts to show the creamy cheesy middle! I don’t think I need to tell you that these went down an absolute treat. 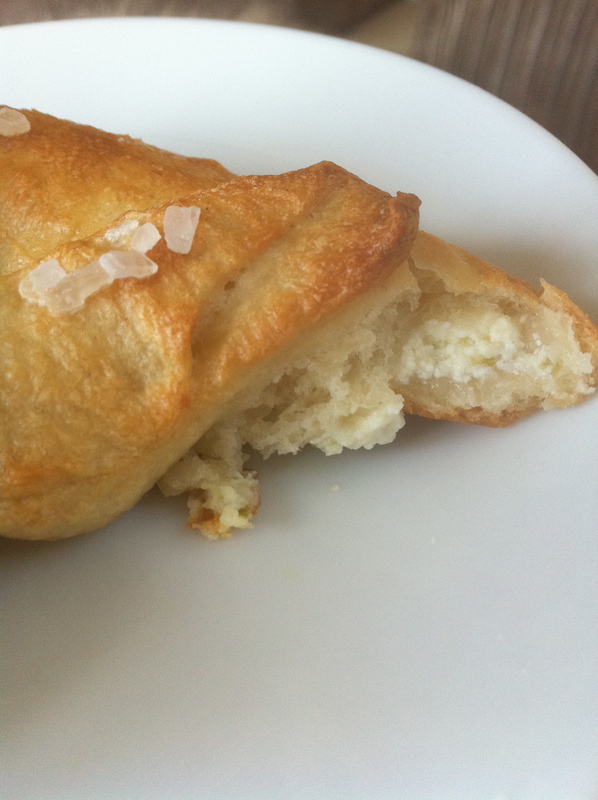 They were creamy and spicy at the same time with the occasional punch of salt from the rock salt on top. I really recommend getting the rock salt if you can, normal salt isn’t quite the same as you don’t get the texture and crunch. 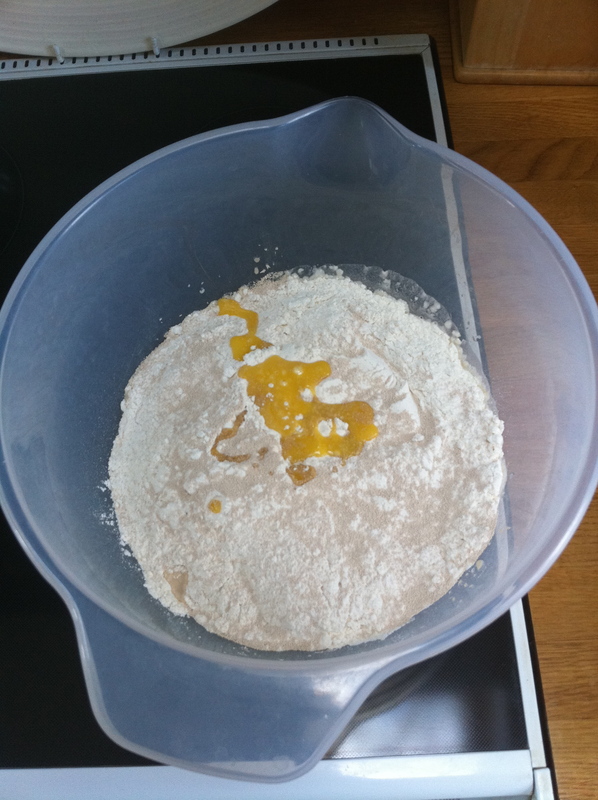 The only thing I would say is I needed to have made sure that the ‘seam’ of the dough wasn’t on the bottom – some of the mixture oozed out during cooking so despite my well oiled tray it stuck, making for a very difficult removal session involving a spatula and quite a lot of swearing. When I made the rest of the batch the next day I made sure to keep the seam on the top which resulted in an intact pretzel with a lovely crispy bottom. Perfect! I scored some serious girlfriend points with these little babies and Ben was so enamoured with them that he ate all four for lunch! Good lad. When we made the remaining four I shook things up a little by adding sliced pepperoni to mine in place of the jalapenos, taking them to a whole new level of amazing. Our cunning plan for them to be Monday’s work lunch was over-ambitious at best and we both ate one at breakneck speed moments after their removal from the oven, throat-scalding temperatures be damned. wowww, making the pretzels. thats a real accomplishment! These look delicious! I found you from you dining review on thedis and I’m so glad I did! My biggest question though has nothing to do with food…I’m dying to know how you do your hair! So much volume, it’s absolutely gorgeous! Aww thank you so much! Lots of hairspray and backcombing! I can get it reallllyy big on nights out, very 60’s! I could never have flat hair anymore, been doing it too long! Wowee recreating a pretzle is devotion to the (American food) cause! I was looking to recreate the disney treat for my sisters. I was impressed to see you did the dirty experimental work for me! Took a look around and really like your blog! Peace, love, and pixie dust from the US! I just got the opportunity to try one of these at Disneyworld’s Animal Kingdom last week for the first time. 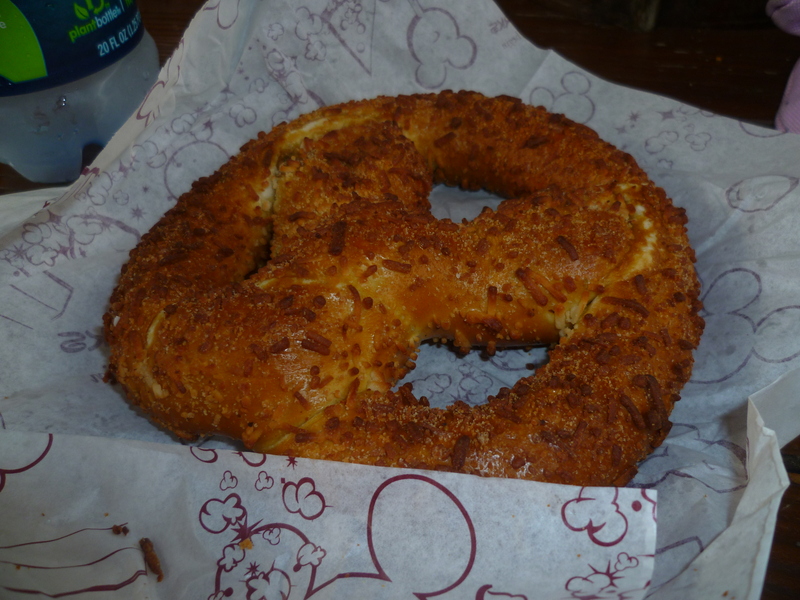 I LOVED THEM…so glad you put a recipe and pics out there because I agree they were the best thing I had at the parks!!! 🙂 Thank you! 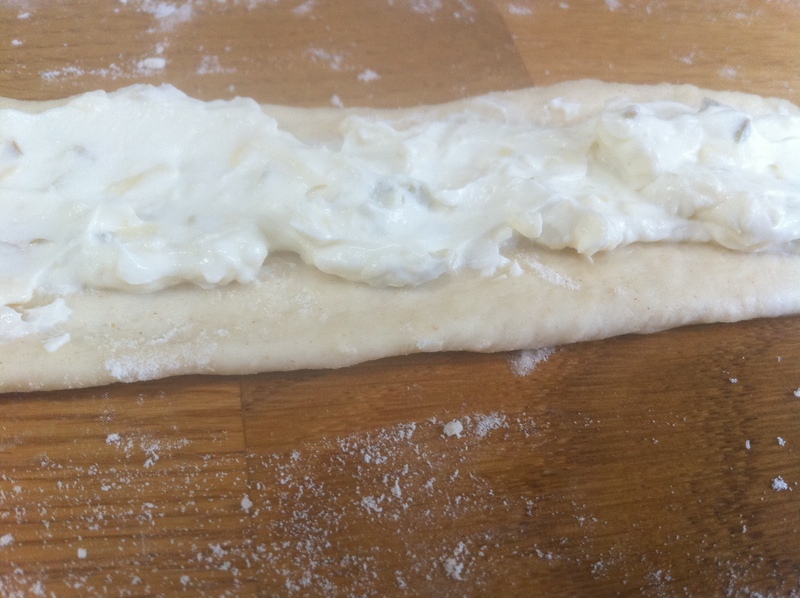 Taking a short cut and using pizza dough from local bakery or pizza parlor. Thanks!